Gold ingot. 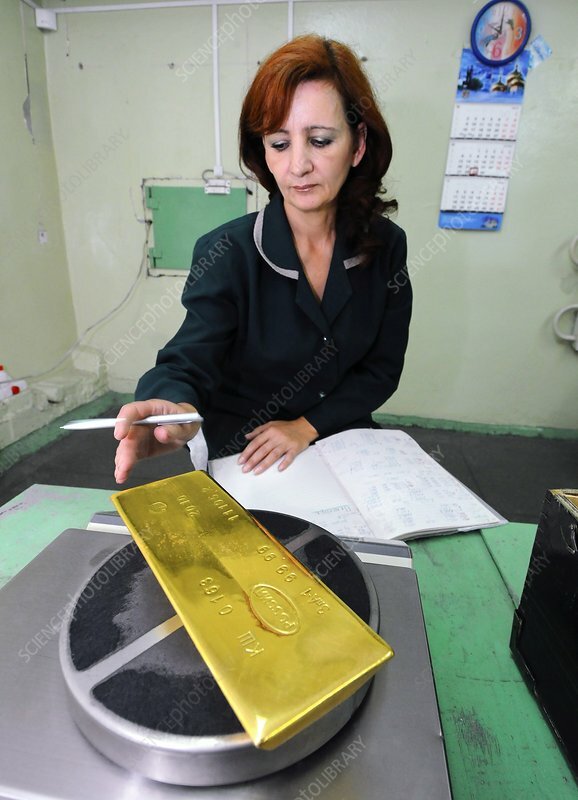 A gold ingot is weighed at an electronics factory. Gold is used widely as a conductor of electricity as it is very efficient, easy to draw into wires or deposit as circuits and is resistant to chemical attack. Photographed at the Kyshtym electrolyte conductor plant at Chelyabinsk, Russia.